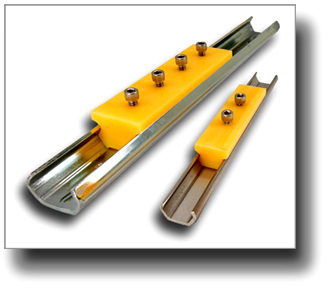 E. Longmeadow, MA – Linear Motion – Water Dog Sliders are UHMW blocks operating in 303 Stainless Rails. Although water is a poor lubricant, it makes Water Dogs very slick. 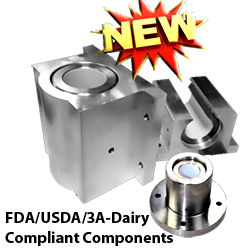 Water Dog Sliders linear motion guides are FDA Compliant, they do not absorb liquids ( they do not grow ) and they have great abrasion resistance.Water Dogs are by no means precision linear slides. 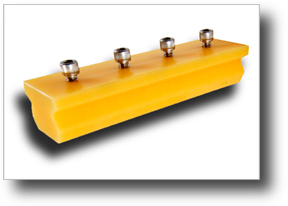 They are simple sliders for water applications where moderate loads and speeds are present. 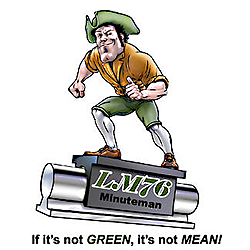 LM76 provides stainless steel mounting screws for both linear motion rails and carriage blocks. 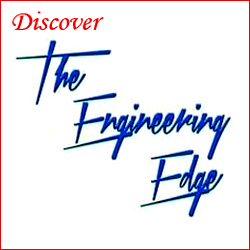 « Linear Motion – “Basic Linear Slides” Are: Prealigned, Precision, Low Cost, and Shipped the Same Day!